2 Bedroom Flat For Sale in Ashford for Guide Price £160,000. 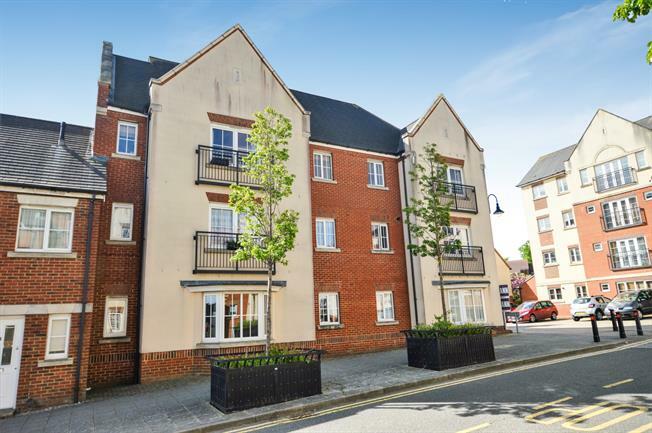 Mann are excited to offer for sale this well presented two bedroom ground floor apartment set within immediate proximity to the Town Centre. Located in the highly desirable area of Repton Park. The property is located within close proximity to local schools and amenities, Within close proximity to the A20/M20 as well as Ashford International Train Station offering a high speed link to London St. Pancras within 37 minutes. The property accommodation comprises of a large open plan triple aspect lounge/ kitchen/ dining room. The kitchen comes fully integrated with fridge freezer, washing machine and a dish washer which are all high gloss units. Two bedrooms both of which benefit from fitted wardrobes, a three piece bathroom and a large storage cupboard in the entrance hall. Other benefits include double glazing and gas fired central heating along with a bin store/secure bike shed and allocated parking. Radiator, carpeted flooring, a built-in wardrobe, ceiling light. Radiator, carpeted flooring, boiler, ceiling light. Radiator, tiled flooring. Standard WC, shower over bath, pedestal sink with mixer tap. Radiator, laminate flooring, spotlights and ceiling light. Composite work surface, fitted units, stainless steel sink, integrated oven, integrated, gas hob, stainless steel extractor.